So what is your knowledge about Chinese food? If you call yourself a foodie then this blog is going to put you under a deep depression. We love eating Chinese food. Whether it is hot Momos or the noodles, Chinese food has become a part and parcel of our life. In fact, in India you can find Chinese cuisine all over the country. But, do you know that there are certain Chinese foods which are not so Chinese. Shocked, well further in this blog I am going to reveal some eye opening facts about your favourite Chinese foods. The version of Chinese foods that we have in India falls more to the category of Desi Chinese. Desi Chinese actually dates back to a few hundred years ago created by the small Chinese community from the Hakka region that settled in Kolkata in the late 19th century. From Chinese Bhel Puri to Chinese Idli, all these food items are the gift of that community. We Indians are so good in blending the taste that we have modified Chinese food items a lot. So what really is Indian Chinese? Simply put, it is the Indian adaptation of Chinese cooking techniques and seasonings with a unique tadka. So as I have already started, let us go furthermore in this topic. 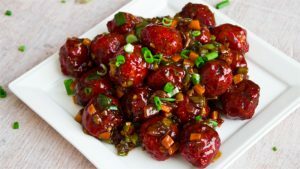 You may find few similarities between the fusion versions of Chinese food in India but it bears only a little resemblance to the authentic food. As we can find variation in Indian food from one place to another the same goes with Chinese food item as well. The Chinese use ingredients like chow sum, bok choy, watercress, Sichuan pepper, ma po tofu and more in their food. Whereas capsicum, cabbage, carrots, baby corn, black pepper corn, vinegar and soya sauce are used in Indian Chinese food doused with sauces like Oyster, Szechwan, Black Bean, Hoisin, Sweet and Sour and the like. Szechwan is the most culinary style used in India which is a fiery red sauce and Manchurian which is a sweet and salty brown sauce. But, there is no doubt on this that the fusion is loved across the world. So let us have a glimpse of the Chinese food items that are not at all Chinese. I am sure that by the end of this blog, you are going to gain a lot of knowledge. Let us start with everyone’s favourite chilli chicken. With a soya sauce marinade adding the Chinese element, this signature dish is the best party starter there is. It is made with chicken coated in a paste of hot chili, garlic, ginger and spices, then sautéed with onions and green chilies. There’s also a “dry” version that’s deep-fried. Plenty of other proteins also get the chili treatment like Paneer and seafood, and how could we forget – honey chilli potatoes? This is a version that we have modified and Chinese must be thankful to us for this. The Manchurian served in India has little resemblance to the Chinese version, mind it only a little. 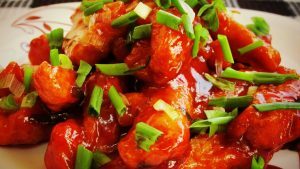 The creation of Chicken Manchurian is in fact credited to Nelson Wang of China Garden who introduced Manchurian to Mumbai in 1975. He started playing around with quintessential Indian ingredients like garlic, ginger, chilli and just added a splash of soya sauce instead of garam masala – and voila. We are blessed to have various Manchurian varieties now like Paneer, Gobhi, Fish, etc. This is definitely going to make your eyes pop. 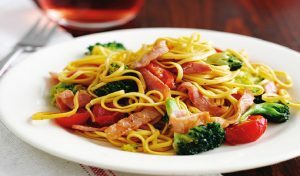 In China, chowmein is referred to as chāu-mèing and is basically a portion of boiled noodles topped with greens, scrambled eggs and soya sauce. But in India, it’s pan fried, really spicy and a favourite in every household. If you are a fan of Manchow soup then this revelation is going to take you from head to toe. 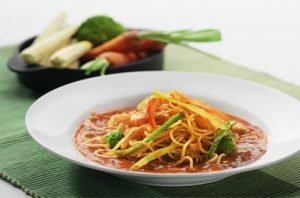 In the Indian version, Manchow Soup is a soy-based spicy soup flavoured with garlic and ginger, cooked with vegetables or meat, spruced up with scallions, carrots, celery and garnished with fried noodles. 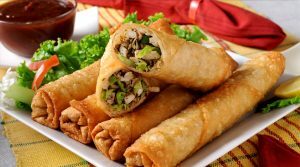 Spring rolls served in India are far better than their counterparts served in the republic of China. The Chinese call it Chūn Juǎn and are actually Cantonese-style dumplings made for welcoming spring. But here in India, they are fried golden, loaded with vegetables juliennes and served often as party snacks. So you think that Szechwan is Chinese. For your kind information, it is not. Flavour-packed, fiery red and ridiculously spicy – Indians have a love affair with Szechwan sauce and add it to just about anything, from fried rice to noodles, gravies to bhel puris. This magical sauce is made with dried red chillies, shallots and lots of garlic. Not many of you would be aware of this, but let me tell you this again is a fusion of Indian Chinese. 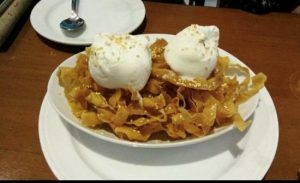 Flattened egg noodles cut into strips, deep fried, coated with honey, sprinkled with sesame seeds and served with ice cream. Yes, this Chinese dessert isn’t all that Chinese after all. An all time favourite, these noodles are a really popular side dish, tossed with greens like cabbage and capsicum, chicken or shrimp and sweetish chilli garlic sauce. 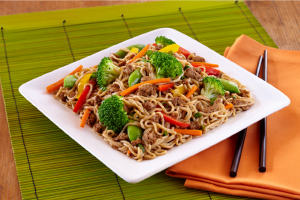 Top it off with some crispy noodles and you’re good to go. Chinese version is not at all similar to this as they have the different way and technique to prepare that. So feel blessed because it is Indian. 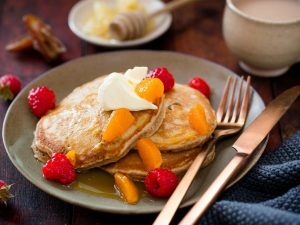 If you have been eating date pancakes so long thinking that it is Indian, then you are wrong. Only in India does a Chinese meal end with fried layers of dough stuffed with dates and topped with a scoop of vanilla ice cream. It is not at all the same what you will have in china. So let us come to the last one but the most surprising too. 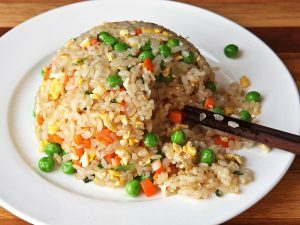 The fried rice which you are eating in India is a great example of Chinese fusion. Fry everything and it’s a winner of a dish in the Indian subcontinent. 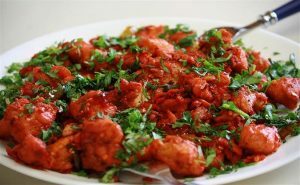 Originally steamed in China, our version is greasy and spiced with red chilli powder, garam masala and green chillies. If you are in love with Chinese food then feel proud that you are having the Desi Chinese which is as delicious as the original one. There are many Chinese restaurants in India that serve the authentic Chinese food. If you want to try it then you can visit the one near to you soon. A perfect place to have authentic Chinese is The Chopstick Buddies. You can peep into the authentic aroma of Chinese food items there.